Last November, Matt came to visit the school and to talk about his writing and to launch his new book 'The Girl Who Saved Christmas'. 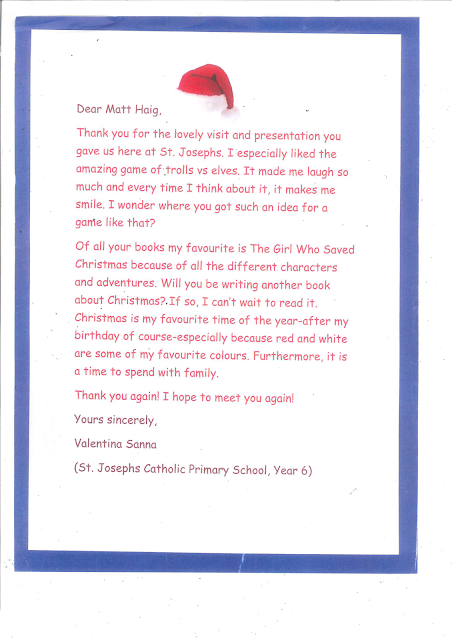 Children in Years 4, 5 and 6 have been busy writing 'thank you' letters to the author, Matt Haig. 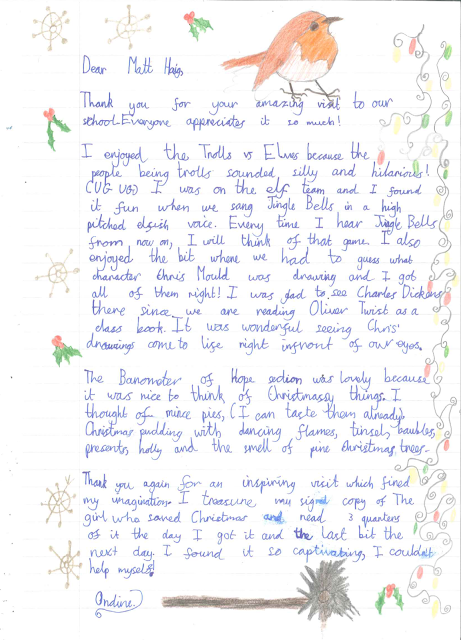 We all had a fabulous time and will be reaping the benefits for some time to come. 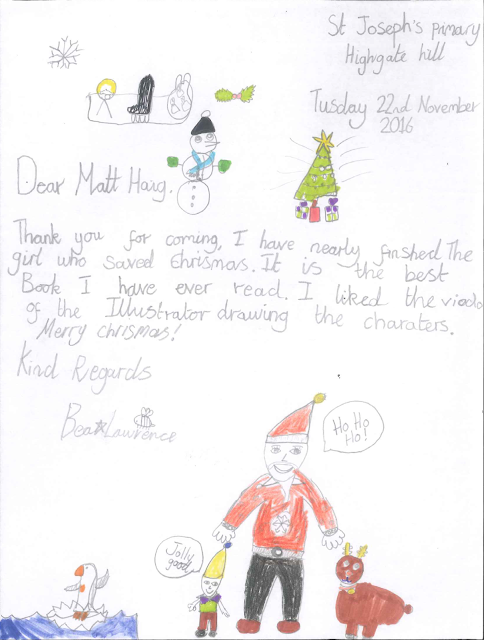 Maybe Matt will come back and visit us again soon! 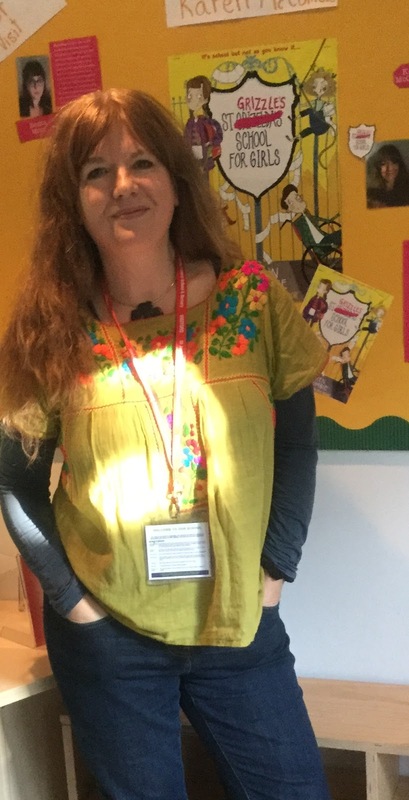 What a fun and inspiring morning children from Years 2, 3 and 4 had listening to Karen McCombie talking about her childhood, her favourite colour and what inspired her to be a writer! 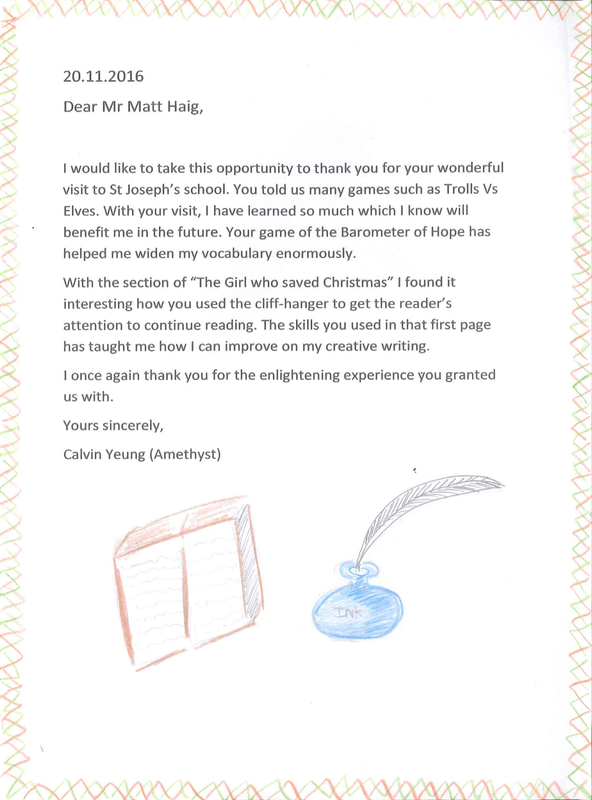 Her main tip to the children was to keep a diary or carry a notebook and write down the things that happen to you or that you overhear as the world all around us is our inspiration. Karen never leaves home without a notebook and spends a lot of time evesdropping on the bus or in her local café which is her number 2 office! Karen also explained to the children the different phases of getting a book published from the editor, who is like a teacher and corrects her writing to the illustrator who makes it pretty and helps bring her characters to life. Karen has written over 80 books and is so excited each time she finishes one that she seems to forget how to speak as she has used up all her words in her writing! 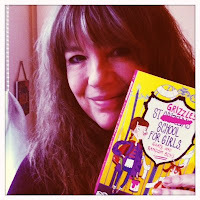 After her talk she signed copies of her new book, 'St Grizzle's School For Girls, Goats and Random Boys' which is the first book in a brand-new illustrated series about a Boarding school and is full of endearing characters and quirky humour. Thank you too to Stripes Publishing and Pickled Pepper Books who made this event possible and to all the parents/carers who supported us. 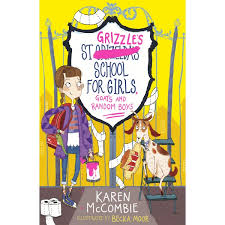 We are delighted to inform you that bestselling author, Karen McCombie, will be visiting our school on Tuesday 17th January as organised in conjunction with Stripes Publishing and Pickled Pepper Books, Crouch End. 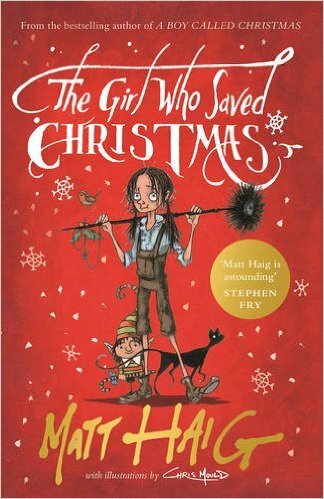 Karen will be talking to Years 2, 3 and 4 about her writing followed by a book signing. All children, whether or not they are attending the talk, are able to purchase the books which will be personally signed by the author. Karen has written over 80 books full of endearing characters and quirky humour; her series Ally’s World has sold over 200,000 copies. Born in Scotland, Karen now lives in north London. She has just released ‘St Grizzle’s School for Girls, Goats and Random Boys’, the first book in a brand-new illustrated series set in a girls’ boarding school. It is fresh, fun and fabulous with friendship at its heart! 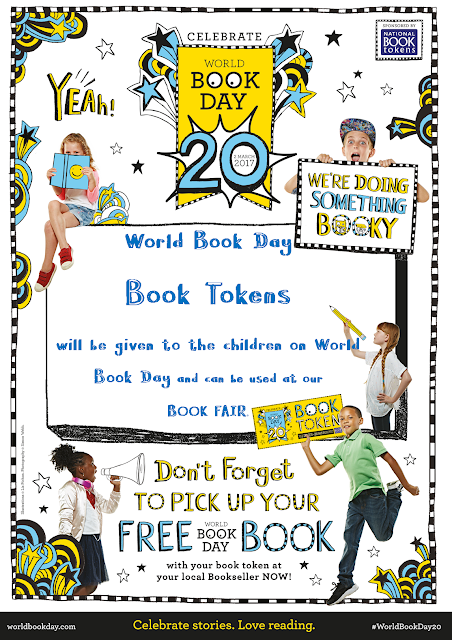 It is suitable for age 7+ readers and illustrated by Becka Moor. So don’t miss out on this unique opportunity to purchase a signed copy. If you wish to purchase the book in advance please pay using ParentPay and complete and return the payment slip to the office (email replies accepted) by Monday 16th January. If you wish to purchase the book with cash please send in with your child the exact money and completed payment slip, in a sealed envelope clearly marked with name and class, on Tuesday 17th January. CASH SHOULD NOT BE BROUGHT IN BEFORE THIS DATE. We are, indeed, very privileged to have Karen McCombie visit our school and we hope that you will support this event. We have received our new Shelf Markers. 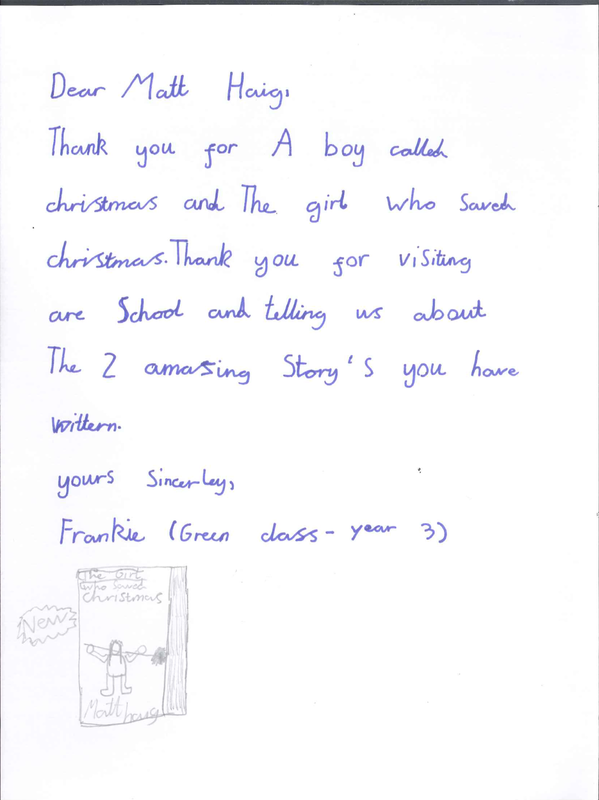 These help the children use the library more effectively. 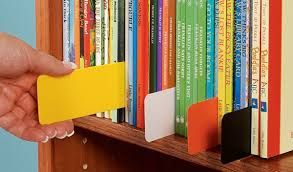 Shelf Markers to replace books correctly back on the shelf if they are not wanted. This way they can begin to understand that every book has a unique place in the library. 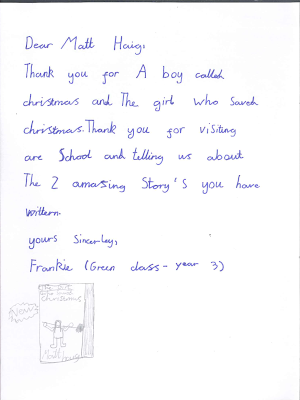 Which will lead them into learning that fiction books are ordered alphabetically under the author's surname. Also, it will help keep the library neat! Here Maisy (Orange Class) helps demonstrate the correct use of the new Shelf Markers.